Top 10 Tuesday – Although getting into F1 is difficult, it does sometimes seem that a family connection can help make the step into the most competitive motorsport arena. Deciding who made the cut into this week’s Top Ten was difficult and undoubtedly many will argue with the short list, with Andretti being one that is missing. Success was the deciding criteria – but an honourable mention should be made for the De Villota family, who saw Emilio drive in F1 in the 1980’s and his daughter Maria make the step into F1 as a Marussia test driver in 2013. A horrific crash ended her testing career and she continued, until her death from injuries, as an ambassador for the sport and an inspiration for women in racing. Another F1 family connection with an honourable mention is Wolff – a rare husband and wife combination with Toto as a successful team manager (and partial owner) and his wife having a role as a Williams test driver as well as one of the few women to have driven on Friday practice. A sibling connection here with the more successful Jody overshadowing brother Ian. Jody won his world title with Ferrari in 1979. Ian joined F1 two seasons later than his brother having only achieved 4 finishes and no points from 20 race starts. Nelson Piquet Snr won three F1 World Titles and a fearsome reputation as a driver. His son however, sadly became infamous for his involvement in 2008’s ‘Crash-Gate’ which saw an abrupt end to his career in F1. He has since seen success in other formulae and was the inaugural Formula E champion. Although Emerson is the more famous Fittipaldi, there were in fact three family members and even a family team in 1976 that raced in F1. With his first world title, Emerson held the record for the youngest to hold an F1 title until surpassed in 2005. His brother Wilson (with whom he co-owned the family team) started 38 F1 races and scored three points in his career. The 3rd Fittipaldi is Wilson’s son, Christian who drove in F1 in 1992, scoring 12 points. 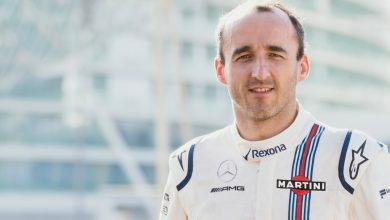 Christian moved to Indycar after one F1 season. This famous name lent itself to two F1 drivers in addition to the Brabham team. Jack was the most successful with three world titles to his name, his 3rd in 1966 being in the team of his own name. His sons followed Jack into racing but only younger son David made it into F1 with two seasons in 1990 and 1994. A third generation of Brabham drivers saw Jack’s grandson, Matthew win the 2012 US 2000 formula title and race in other formulae. The famous name established by Ayrton saw three world championships and a career cut short by a fatal racing accident. His nephew Bruno had a tough act to follow and disappointingly only saw a best 6th place finish at Williams. Since leaving F1, Bruno has established a successful career as a TV F1 commentator and also races in Formula E.
Although Gilles was killed in Zolder in 1982 having not won a F1 championship, he established a strong racing reputation. His brother, Jacques Snr entered three F1 races between 1981 and 1983, but failed to qualify. Gilles’ son Jacques saw success in Indycar before moving to F1, where he won the championship in 1997. Mercedes driver Nico is currently fighting for the world championship, whilst his Father Keke won it in 1982 with just one win in that season. There is still time for Nico to match his father’s title win, though he has seen more race success. Nico has recently become a father himself, so is there a chance his daughter will continue the Rosberg racing line? Graham and Damon are the first father and son F1 world championship winners. Father, Graham won the championship twice before his premature death in a plane crash. 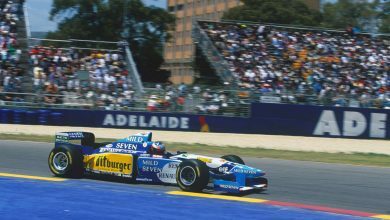 Damon took to F1 late in his career and won one championship for Williams in 1996. Since leaving F1, he led Silverstone to a successful long term bid to host the British F1 race and established himself as a TV and media F1 commentator. There was almost a third F1 connection in the form of Damon’s son Joshua, who entered racing and saw some success in junior formula before announcing his retirement in July 2013. Michael Schumacher is still the most successful F1 driver to date with seven world titles to his name. His younger brother Ralf had F1 success in his own right with six F1 race wins and even beat his brother on track, but was inevitably overshadowed by Michael’s incredible achievements. The Schumacher name continues in racing in the form of Michael’s son Mick, who started racing in junior formula in his bid for a future F1 drive. Sir Frank Williams established the most successful independent F1 racing team in 1977 with Sir Patrick Head. Since then the team have won nine Constructor’s Championships and seven Driver’s Championships. Sir Frank owns the successful team and is the Team Principal with his daughter Claire, having been promoted to Deputy Team Principal. 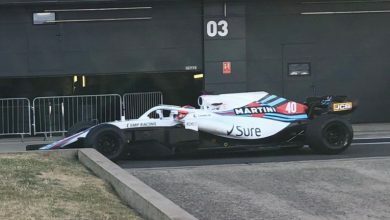 The Williams team has seen involvement in other aspects of racing development and formula, but are currently concentrating on F1.